The PGA Championship on Sunday saw the fans’ new favourite Jordan Spieth against the talented Australian Jason Day in a head-to-head contest that was an impressive display of superb golf and exceptional sportsmanship. Inspiration for us all. Meanwhile Rory McIlroy, the third superstar in this newly anointed trio of golf’s “Big Three” was lurking not far behind, in spite of it being his first competition after six weeks of recovery from a sprained ankle. And in spite of the big stakes, they are all friends. Chatting and grinning, enjoying each other’s good shots, Spieth and Day continued battling to the 18th hole. 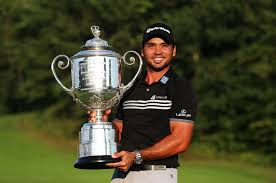 Winning by three shots, Jason Day won the Championship and $1.8 million while making history with the lowest score ever in a Major golf tournament at -20. Jordan Spieth had to settle for second and only $1 million, but also made history beating Tiger Woods’ record for lowest score in the four Majors in one year at -54. 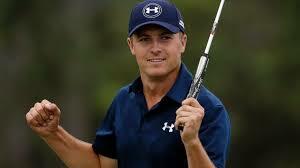 (He won the first two – the Masters and US Open.). He also bumped Rory McIlroy out of #1 in the World Golf rankings. Three very impressive and talented young men of character. Inspiring us by demonstrating that competition does not have to be like war. You do not have to hate your opponents as enemies. All is not fair. You can still focus on winning while playing by the rules and respecting your competitors. Keep it in mind for your next round.